Here is an article from the Rheinpfalz, about the "Tolkien Weekend" concert. 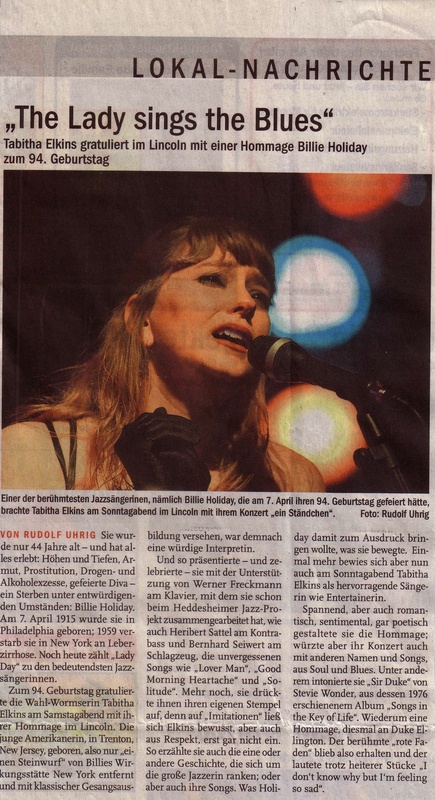 Here is an article from the Wormser Zeitung, about the "Tribute to Billie Holiday". Here is an article from the Nibelungen Kurier.